This weekend saw three Special Events held around the world: in Manila, the Philippines; Lima, Peru; and Mixco, Guatemala. PokéStats has obtained the Top 8 standings for each event. You can find additional tournament information on these events' individual data pages. 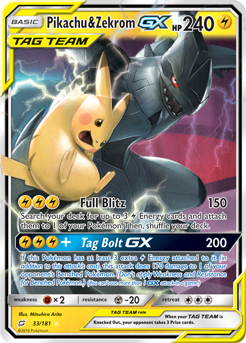 Malaysia and Lightning-type Pokémon took down this tournament, with the top five finishers being Malaysians playing Lightning-based decks! 2018 Worlds Top 4 finisher Klive Aw took a break from his trademark Zygarde-GX decks to play some stall, while another well-known player, Jit Min Lim, played a rogue Stage 1 toolbox deck powered by Jirachi TEU and Rainbow Energy. 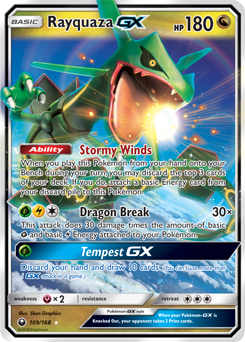 Meanwhile, Adrian Acuzar chose to bring back Vikavolt/Rayquaza-GX--as we will see, the same deck Jose Marrero used to win an SPE on the other side of the world this weekend. Two Americans met in the finals of this SPE, with Jose Marrero taking the win using an unexpected deck--Vikavolt/Rayquaza-GX, which was often considered the BDIF at the very beginning of this season but has rarely been played since then. The rest of Top 8 was fairly standard, with a couple of players opting for the Zoroark-GX Control deck Caleb Gedemer used to win Denver Regionals last weekend. Blacephalon-GX/Naganadel had the most Top 8 appearances of any deck in Lima, with three. This was also the only one of this weekend's three events to feature a Malamar deck in Top 8. Below are the players who achieved 19 or more match points to advance to Day 2 of the 2019 Denver Regional Championships. Decks are being added as we continue to receive updates. Below are the players who achieved 19 or more match points to advance to Day 2 of the 2019 Greensboro Regional Championships. Decks are being added as we continue to receive updates. Below are the players who achieved 19 or more match points to advance to Day 2 of the 2019 Toronto Regional Championships. Decks are being added as we continue to receive updates. Below are the players who achieved 19 or more match points to advance to Day 2 of the 2019 Collinsville Regional Championships. Decks are being added as we continue to receive updates.